A recurring theme of these "25 years ago" pages is how much the railway scene has changed, and how you can never go back. But on the 4th September 2004, I did manage to recapture a small piece of 1979. On the left - it's the 4th September 1979, about 10:45 and I was on Bangor Mountain, photographing the last class 24 in British Rail service - 24081. 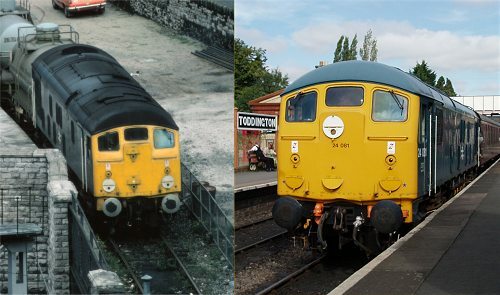 On the right, it's the 4th September, about 10:45, and here I am in 2004, photographing the same engine again. 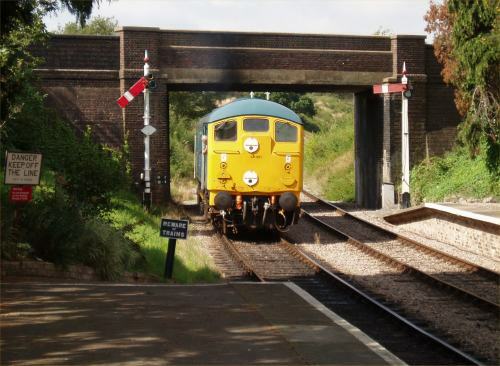 OK, it may be the Cotswolds and not the North Wales coast, but it was still a small taste of how things used to be, and 25 years on 24081 sounded in fine voice. Even more remarkably, thanks to those very nice people at the Gloucestershire Warwickshire Railway, not only was I going to get to see and hear 24081 all day, I was going to drive her as well, on one of their "Driver Experience" courses. 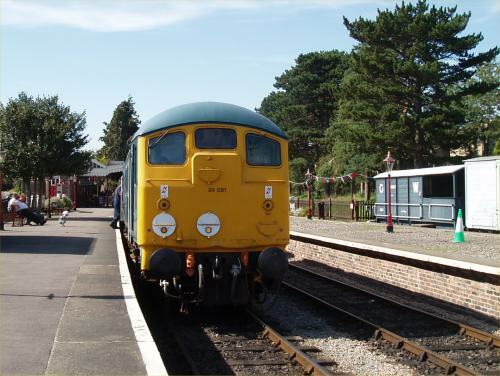 24081 runs round at Toddington. 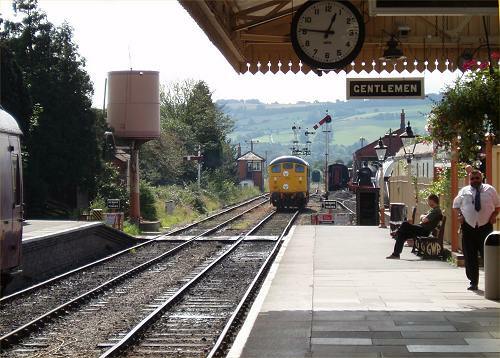 Winchcombe, and 24081 runs round its train. Or is this somewhere on the Cambrian in 1979?. At Winchcombe again, with ECS headcode correctly set. I can highly recommend driving 24081 at Toddington, and I'd like to thank Richard and his team at the GWR for a great day out. Visit their website for more details of their driving courses.